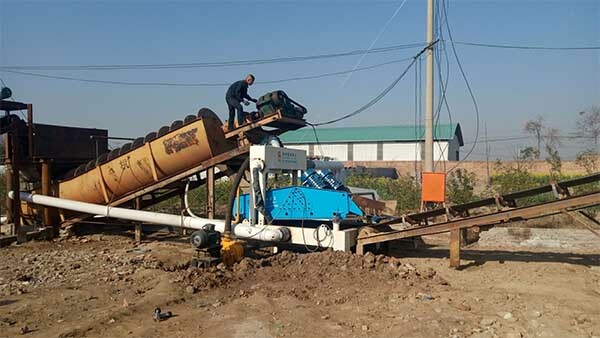 Sand washing machine is a equipment that used for washing sand and gravel, which can remove impurities covering the surface of sand and destroy the water vapor layer covering the sand at the same time. So as to achieve cleaning and dehydration. 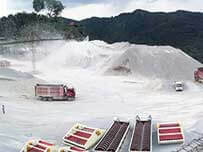 Sand washing machine is widely used in quarry, gravel production line, mining, building materials, transportation, chemical industry, hydropower, concrete mixing station, and other industries. Since this machine promoted on the line, it has been well received by users. 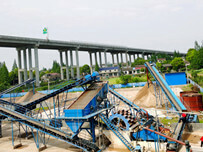 Sand washing machine is divided into bucket sand washing machine and spiral sand washing machine. 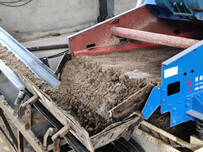 The spiral sand washing machine can clean and separate the soil and impurities in sand and gravel. Because the novel sealing structure, adjustable overflow weir, and reliable transmission device to ensure the effect of cleaning and dehydration. Spiral sand washing machine consists of tank, speed reducer, motor, center shaft, spiral blade and bracket. The bracket is welded on center shaft, and screw blade is tightly tightened with bolts, so that the blade does not sag and deformation. Spiral sand washing machine has a simple structure and stable performance. The impeller drive bearing device is isolated from water and water-receiving materials. So the damage of bearing due to immersion in water, sand and pollutants is greatly avoided. 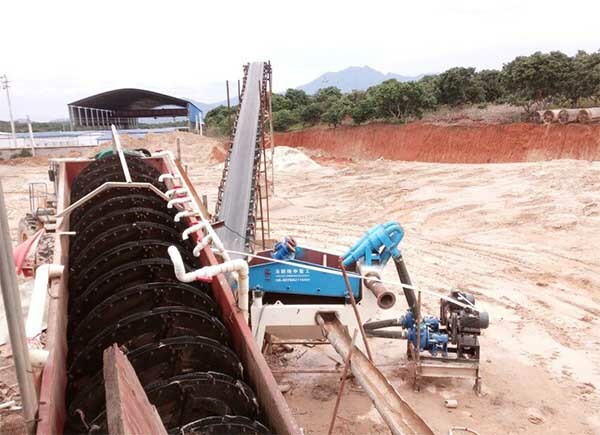 Spiral sand washing machine features: Reasonable grading and coarse subdivision of coarse sand and fine sand; Good sealing system; Simple structure; Strong processing capacity; Easy maintenance. 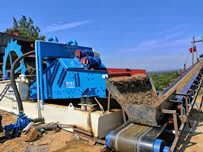 Next：How does a dewatering screen work?